PAUL BILODEAU/Staff photo. 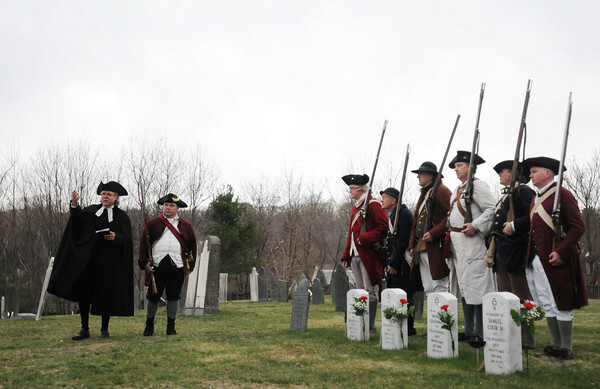 Members of the Danvers' Alarm List Company pay tribute at the Old South Burial Ground in Peabody. The South Burial Ground contains the graves of four Danvers men who died on April 19: Ebenezer Goldthwaite, George Southwick, Samuel Cook, and Benjamin Daland.